If today’s leaks are correct, Nokia is set to announce new Lumia 820 and Lumia 920 Windows Phone 8 smartphones, bringing its highly-praised PureView technology to its line of Windows Phone devices. 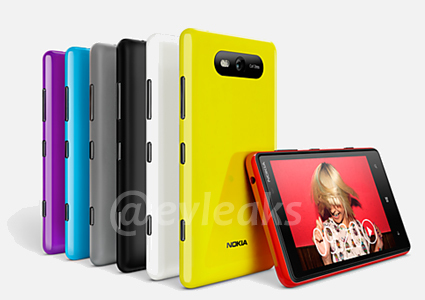 In renders provided by Twitter user EvLeaks (via The Verge), both the Lumia 820 and the Lumia 920 are shown in various different colors, sporting similar designs to earlier Lumia models. 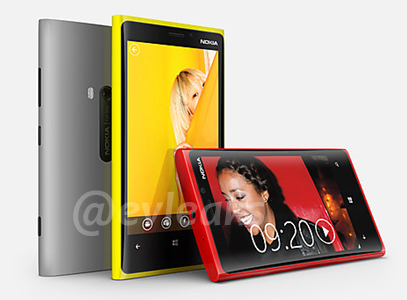 The Lumia 920 is said to feature a 4.5-inch screen, launching as Nokia’s biggest smartphone to date. However, the big news is that the company will include PureView optics in this handset, delivering high-resolution photos similar to the Nokia 808 PureView. 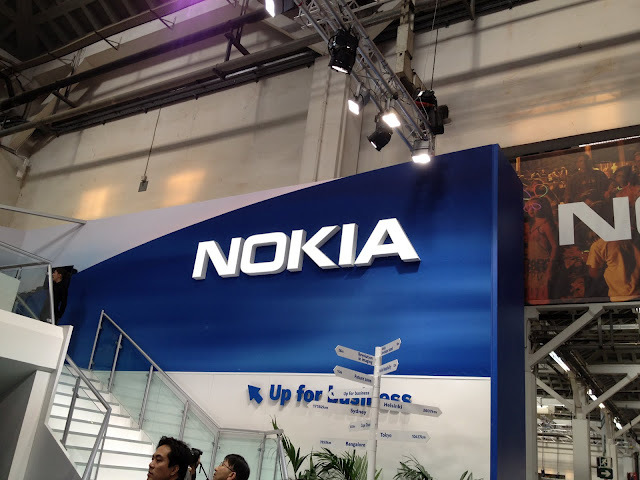 The Nokia 820 (codenamed Arrow), is expected to feature a 4.3-inch display, launching in a number of vibrant colors if the renders are indeed accurate. We’ve spoken with sources close the situation and from what we can tell, these images are close to the final products Nokia will launch at its upcoming event. Nokia is due to hold its Windows Phone 8 launch event in New York City on September 5, finally confirming the specifications and launch dates for the device.